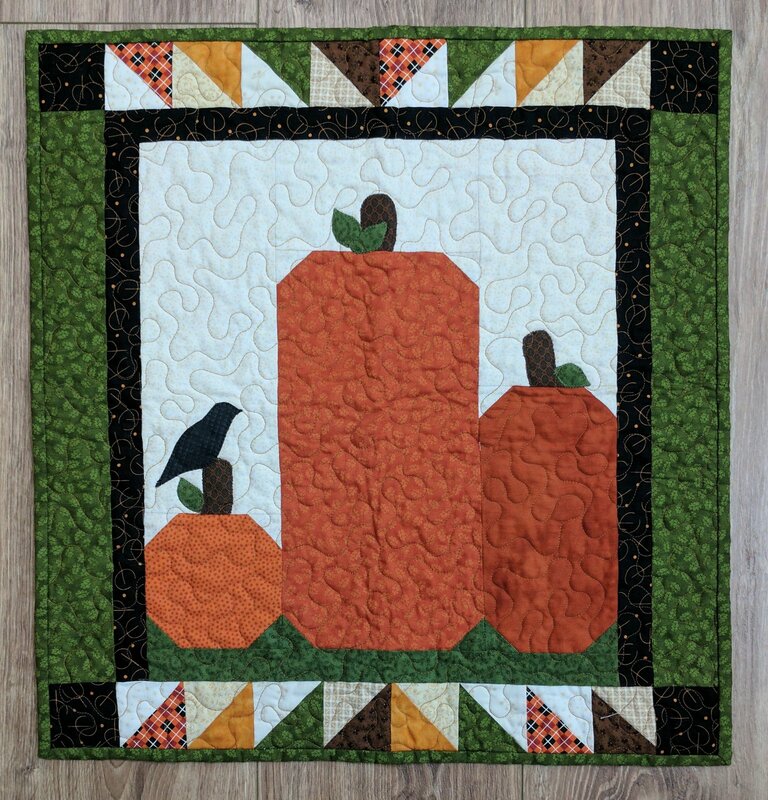 This cute little fall wall hanging is one Michele designed and made:). If you wanted to, you could add faces on the pumpkins to turn them into Jack O Lanterns. We will do piecing, appliqué, and snowball blocks to make our pumpkins. This is a quilt that would be easy to quilt on your own in class too. You'll be finished before you know it and ready to hang by the first of Sept.! !